A teddy bear and his hookers. In this corner – the weekend’s number one film at the box office and Seth “Family Guy” MacFarlane’s first foray into film – Ted. A director and his children. 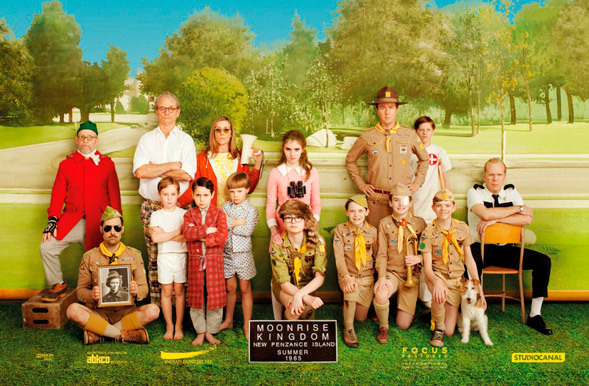 In the other corner – the critically acclaimed sleeper hit for the hipster arthouse set, Wes Anderson’s Moonrise Kingdom. The first film I wanted to like a lot…but didn’t…while the second film I wanted to dislike a lot…but didn’t. Strangely they suffer from the same troubling underlying theme (the old more of the same bit), though one film is clearly better at overcoming that flaw than the other. First up – Ted. It’s a simple sellable concept – boy wishes teddy bear could talk, wish comes true, teddy grows up into foul-mouthed pervert, hilarity ensues…right? Hilarity should be ensuing. Waiting….waiting…. Oh, wait, a fart joke! The movie starts out charmingly sarcastic enough, a kind of riff on those magical wish-fulfillment kids’ flicks from the 1980’s (that I hated) complete with Patrick Stewart narration. After the credits finally roll (featuring a pretty funny montage), MacFarlane attempts to translate all of his patented animated schtick to live-action complete with 1950’s-style music. Some mysterious “event” causes people in the Northeast to start killing themselves (loved the Philadelphia Zoo scene!) and forces an unhappy couple (Mark Whalberg and Zooey Deschanel) to work on their marriage problems lest they die. The audience is put on the ground level as people react in different ways to the impending doom and the need to escape creates heightened paranoia. The half-decent set-up combined with an unintentionally funny screenplay make M. Night Shyamalan’s eco-disaster flick The Happening the most entertaining bad movie you’ll see all year. Shyamalan has developed into a truly unique breed of director over the past decade. He’s capable of crafting a decent thriller (The Sixth Sense) but he’s also been responsible for one the worst films ever made (Signs) and some of the dumbest movies I have ever seen (Wide Awake and Lady in the Water). Whereas his tactics in Signs made me angry, I noticed something in Lady in the Water that gave me a perverse sense of hope. That film was so bad, it was almost good. With The Happening, Shyamalan has finally crossed that threshold, and he’s done it without irony or camp. He takes himself dead seriously, and he’s crafted the crap in The Happening beautifully. Special nods go to cinematographer Tak Fujimoto (who has become the premier photographer of trees and grass blowing in the wind) and James Newton Howard’s excellent film score. In Shyamalan’s “Twilight Zone” universe, the scenes meant to be suspenseful or scary are instead hilarious, the moments meant to be emotional become banal, and the lines meant to be funny fall completely flat. The dialog in The Happening is so bad I think the academy should go back and take away his best screenplay nomination for The Sixth Sense. Watching poor Mark Whalberg (completely unbelievable as a science teacher who figures out what is happening) give what is possibly the worst performance of the last ten years makes you wonder how Shyamalan was ever able to direct Toni Collette and Haley Joel Osment to Oscar nods. Shyamalan leaves his cast, like the plants in the film, to blow in the wind without giving them a single helpful direction. Despite all this, I have to admit I loved every stupid piece of this movie from Zooey Deschanel’s high-as-a-kite performance to the mood ring to Mark Whalberg talking to a potted plant to the crazy old lady in the woods to the people walking backwards. Shyamalan has performed a miracle by finally crafting another film that is suspenseful, but in all the wrong ways. When I wasn’t busy laughing, I was on the edge of my seat wondering when the film would finally dive off the deep end into complete idiocy, and it did in that “rifle” scene on the porch of the boarded-up house. Unlike an Uwe Boll who never showed a lick of talent, or a Michael Bay who has some technical skills but edits his films to the point of being unwatchable, Shyamalan has become an awful director whose films are completely watchable…and dare I say it…enjoyable. In honor of the Golden Globe nominations and the race for Oscar, here is a rebroadcast of my review of The Departed from when it originally opened in October of 2006. This is the only film from this year to receive 10/10 stars from me. 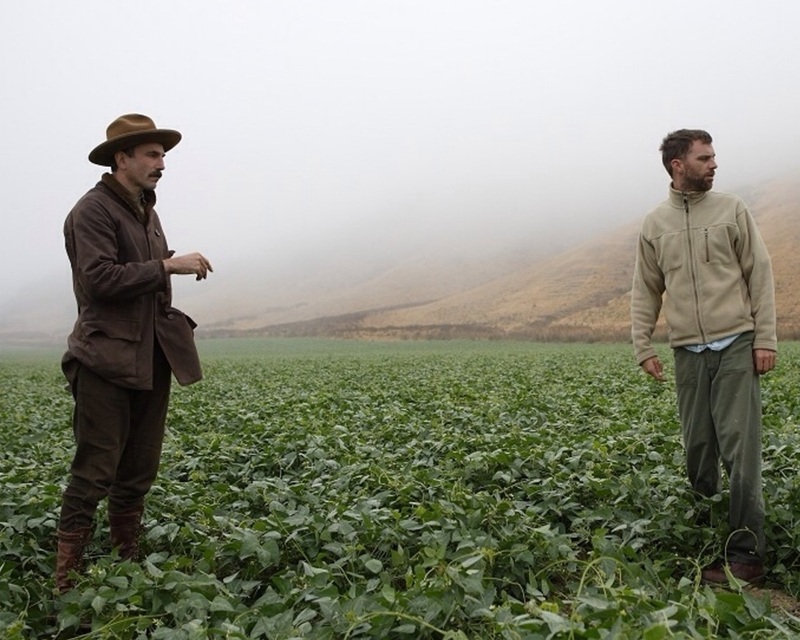 Comparatively, last year, I bestowed two 10 star reviews to The Constant Gardener and Crash (which went on to win the Oscar for Best Picture). In 2004, I bestowed only one 10 star review to Eternal Sunshine of the Spotless Mind. Martin Scorsese has reached a point in his career where he has free reign to do whatever he wishes as a director. It’s hallowed ground for an auteur, and as such, every actor worth his salt would kill to work for him knowing full well that whatever Scorsese chooses to do will be an uncompromising work of art. With “The Departed” he has quite possibly one of the greatest casts ever assembled. The deliciously convoluted plot based on the recent Asian flick “Infernal Affairs” showcases Jack Nicholson as an Irish mob boss; Leonardo DiCaprio as an undercover cop infiltrating the crime ring; Matt Damon as the crime ring’s inside man with the police unit assigned to bring them down; Alec Baldwin, Martin Sheen, and Mark Wahlberg as the cops working above Damon and DiCaprio; and a breakthrough role for Vera Farmiga as a police psychiatrist in a love triangle with Damon and DiCaprio. This brief but confusing rundown is merely the tip of the iceberg and reveals nothing of the plot twists and tension riddling every aspect of the film like bullet holes from a machine gun massacre. By now, Scorsese is to crime dramas what Hitchcock was to psychological thrillers. Comparatively, he’s at the same point in his long career Hitchcock was when he gave us “Rear Window,” “Psycho,” and “Vertigo.” Scorsese could’ve directed this blindfolded and it would’ve still been first rate. What’s so thrilling about Scorsese as a filmmaker is that he’s always directing full throttle with his eyes wide open. “The Departed” is so ridiculously good it left me with chills afterward. After a brief departure to big budget Oscar pushes with “Gangs of New York” and “The Aviator,” Scorsese returns to the familiar ground of his most revered projects like “Taxi Driver,” “Raging Bull,” Goodfellas,” and “Casino.” All his hallmarks are here: fantastic use of music, brilliantly choreographed bouts of violence, heart-pounding editing, deep and meaningful camera shots and movement, religious iconography, an epic and detailed sense of place (in this case, Boston), and highly quotable dialogue that is dramatic and funny and full of pathos in all the right places. With its rising tension and cat-and-mouse theatrics, “The Departed” is easily the most viscerally thrilling studio film to come down the pike in many moons. Scorsese doesn’t just treat us to his usual bag of tricks, he re-imagines them, and in exorcising perfectly balanced performances from an amazingly talented cast that in the hands of lesser director may have gone over-the-top, he delivers a modern day tragedy on par with greatest works of Shakespeare. For Scorsese, the big screen is his canvas, the camera his paint brush, and the blood splattered across the screen his awe-inspiring brush strokes. He’s a veteran, he’s a master, and “The Departed” is his Renaissance.